Castor oil is miracle oil which was used by our grandparents to get their entire problem solved from health to inducing labour. How about trying them again? 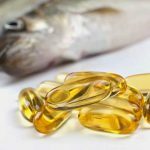 Although we have a wide array of oils available in the market we end up getting confused and picking up the wrong one sometimes. 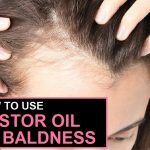 Your next pick should be Castor oil and here we show why! We brought you a list of 50 benefits of castor oil. If you want to grow your hair faster and also want them look shiner, use castor oil. All you need to do is heat some castor oil for 30 sec and then massage your scalp with this warm therapy. This will nourish your hair follicles well and help the hair to grow well. Well this is an unfortunate condition for someone and it may even grow serious sometimes. You may can the fungal infection on scalp by oiling them with castor oil. Uff dandruff! The more you want to keep them at bay the more they get stick on to you scalp. Dandruff is a condition when the scalp gets over dried and gets stretched. All you need to treat this condition is oil regularly with castor oil. Who does not wish to have thick hair? Castor oil helps to thicken you hair as it contains Omega 6 and Omega 9 fatty acids. Hair regrowth is dreams come true of many of us, where you have tried infinite recipes to make your hair grow your bald areas. Regular massaging your scalp with castor oil will help to regrow the hair as before. Some have natural thick eyebrow, while some do not. Instead of feeling grumpy over your thick sleek arches on your face, start using castor oil. Castor oil triggers the growth in your eyebrow which also makes them look thicker and fuller. It works as a conditioner and a moisturiser as well so now you don’t need to waste money on expensive conditioner to get a better hair condition. Put some drop of castor oil to your shampoo and then use it on your hair. Castor oil treats split end, which you are tired of taking care about. Mix it with few drops of olive oil and massage your scalp deeply. The humectant properties of castor oil along with nutrients and proteins help to retain the moisture over your scalp and also give you long shiny black hair. After you have oiled your follicles well and given your scalp a 15 minutes massage, you will feel your mind and senses relaxed. Castor oil helps to cool them down. Now you don’t need to buy false lashes for your eye, you need some castor oil this time. Apply some castor oil to your eyelashes and leave it overnight. Feel the difference after a month. Have you observed why many pregnant women are orally served with castor oil? This induces the labour pain by pushing uterus contraction. It is very helpful for all the pregnant women. Dry eyes are a condition where a delicate film of eye is damaged. Natural remedy to treat this condition is drinking lots of water and other solution to this condition is castor oil. It is good to put drop of castor oil to your eyes before you sleep. 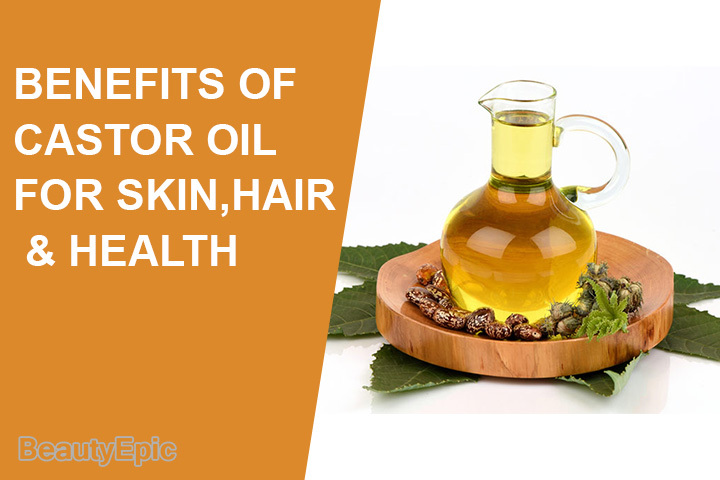 Castor oil is a great moisturiser for skin too. It retains the hydration in the skin and also keep them glowing. Apply some castor oil to your face with the help of cotton ball and leave it overnight. Castor oil is an anti-ageing ingredient too. Who does not want a younger and flawless skin? All you need to do is add some drops of castor oil to your nigh cream and then apply it on the face. Some have irritated skin and we know how it feels exactly! Castor oil gives you a solution by giving a relaxation to your troubled skin and also makes them calm. Castor oil is heavy in texture, which makes it suitable to treat small and mild acne. Apply castor to your face or specifically on your acne and leave it overnight. Skin breakdown is a serious condition if you love wearing makeup. If not treated quickly, it is can be spotted on your face easily. Castor oil can be used as a natural lip balm on your lips, it keep them well moisturised and nourished all the day long. Sunburn can happen to anyone, because of few environmental factors. Apply castor oil to your affected area will help you to treat sunburn and calm your skin down. Many of us forget to scrub well your dark lips too, they should be taken care just like other parts of the body. Dark lips are an embarrassing condition unless you cover them with lipstick. Apply some castor scrub and massage your lips for 15 minutes to remove darkness. Many of us do have this habit to chapping lips, in some condition which gets worst. You need to massage your lips with castor oil at least twice a day. Overtime, regular use of castor oil proves effective to reduce your scars and blemishes on the face. Use it thrice in a day and leave it undisturbed for half an hour. Yes, it works! Just like baking soda, you can use some castor oil to clean your dark underarms. Rub it thoroughly every day for 5 minutes before you take bath. Say no to crack heels now! Castor oil is the most effective ingredients to treat your cracked heels. Massage plenty of castor oil in your cracked heels and slip a cloth under your foot so that the oil does not get into your bed sheet. Waxing can give you goose bumps or redness of the skin sometime. 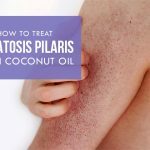 Immediately apply castor oil to your freshly waxed skin to treat the inflammation and redness over it. Yes, bleach burn may happen sometime. You can treat them by applying some castor oil over it and leaving it for some time. If at times you miss your shaving cream, castor oil can be used to as a shaving cream as well. It helps to glide your razor well and also remove the hair easily. No you cannot control stretch marks. They can be anywhere and obviously which no one wants. Regular application of castor oil over stretch marks can treat them well. Many researches have answered to reduce uneven pigmentation over skin.Castor oil has mega 3 and fatty acids which help to treat uneven pigmentation and proves health issues to the skin. Many of us believe they are for lifetime but you lacked in the fact that they can be treated too. Regular application of castor oil will treat them and will reduce the marks in few months. Using natural ingredients over your skin is always good. You can add 5-6 drops of castor oil to your hand cream or body lotion and then apply it to your skin. If you love oils, apply raw castor oil with the help of a cotton ball and wash it off while bathing. Dry skin is mostly dull and drenching due to absence of natural oil in them. You can provide the essential oil and vitamins what your skin needs by applying some castor oil every day to your oil. It will slowly start making your skin look supple and soft. Castor oil is packed with fatty acids, nutrients and omega 3 which proves beneficial in treating these small spotted freckles on the face. This happen when you are around your 30’s your skin starts loosing and they start looking dull even. Applying castor oil over your face will help to make your skin and neck firm. Yes, you do need to clean them as long as you want healthy and beautiful nails. Castor oil helps to vacuum out the unwanted dirt from your cuticles which make them look clean and tidy. Castor is beneficial to treat brittle and cracked nails and you get them easily by massaging your nails everyday with some castor oil. It not only helps to clean them, maintaining them healthy is also a task. You can simply use the oil on daily basis and will surely be benefits with the result within few weeks of regular use. Besides of treating dry eye syndrome, it also helps in treating dry skin remedy. Just mix little of coconut oil with some castor oil and apply it to you skin. Castor helps to improve dry skin remedy. The heat oil created by castor oils helps to initiate the digestion system and cleaning the system completely. This helps to improve the bowel improvement. Castor oil is miracle oil which helps to treat joint pains and anti-inflammatory of bones. Massaging bones with castor oil and placing a hot water bag over them will help to improve the condition. Ringworms can be worst conditions and they need a proper treatment by a dermatologist. To treat ringworms you need to apply castor oil over them and apply it regularly over them. Keep applying after ever few hours. For those whose immunity very low, you are in need of castor oil. It helps to strengthen the immune system by increasing the white blood cells. Castor oil helps to strengthen your immune system which fights bacteria and canceric cells. Include castor oil in your daily health habits to fight canceric cells. Castor contain anti allergic properties which help to reduce skin allergies. Before using oil orally, consult the doctor. 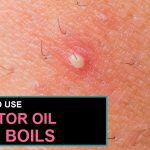 This is nothing new and we all know castor oil is used widely to treat warts and moles. Mix some baking soda to castor oil and apply it to the affected area. Secure a cotton ball in castor oil over you corn with a first aid band; this will help to reduce corn over a period week. Castor oil helps to treat the lymphatic liver condition too. Take a cotton cloth and soak it completely in castor oil and place it over your abdomen and lay flat on the floor. To make this position relaxing, place a pillow under your knees. There are many studies which have proved health benefits of castor oil. Take a warm spoonful of castor oil and apply it daily to your abdomen and then move out to work. This will help to cut down some pounds of belly fats. Castor oil is been used for cooking over ages. It has a strong taste and was used as a laxative in olden day. It is also used even today by much of the families.So, when have you decided to buy some castor oil for yourself?